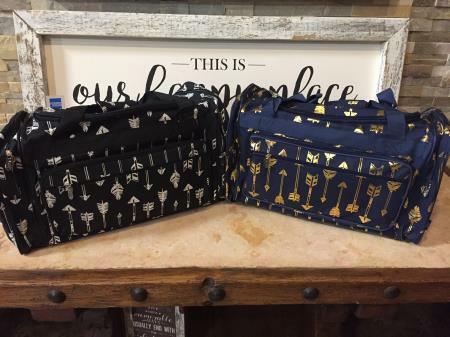 Choose from black and white or navy and metallic gold arrow duffel bag. Each bag has two side pockets and two front pockets. Plenty of space for the weekend get away.